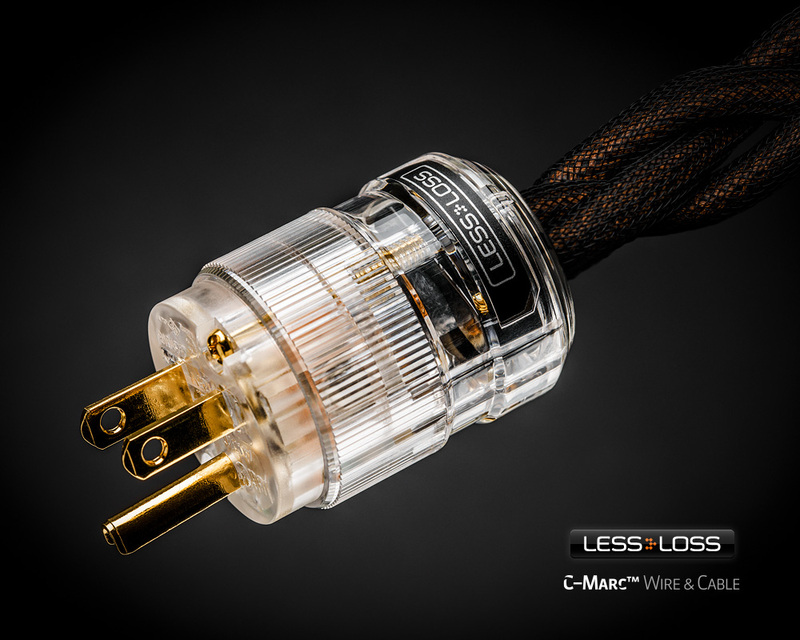 Choose and purchase your C-MARC™ power cords here. Most are now available and ready to be delivered. 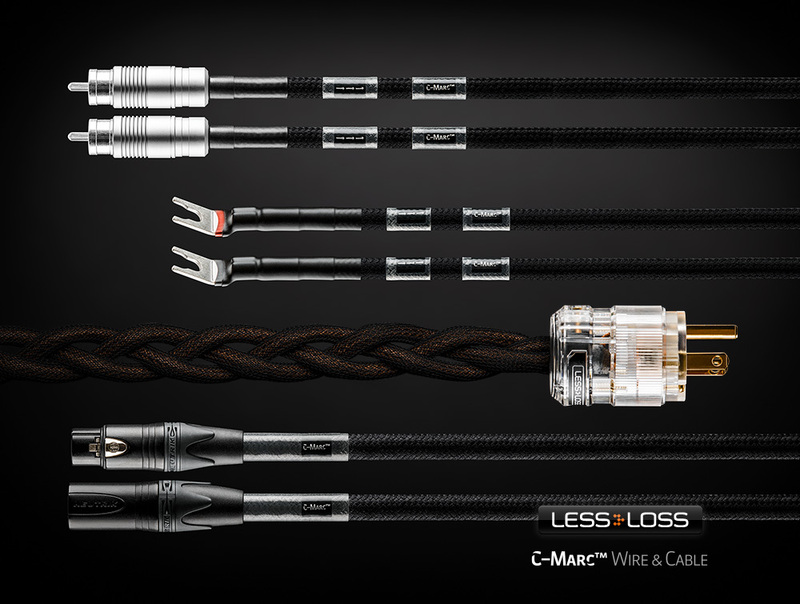 For special requests or for additional information, please write to Louis Motek: info@lessloss.com. This is the IeGO Dreamworks model Ti2000(M) 8085CT-Gu, which features cryogenically treated 99.99% purity, gold-plated copper from Furukawa, Japan. It is made according to the NEMA 5-15 (North American 15 A/125 V grounded) standard. This is the IeGO Dreamworks model Ti2400(M) 8085CT-Gu, which features cryogenically treated 99.97% purity, gold-plated Tellurium Copper from KME in Germany. 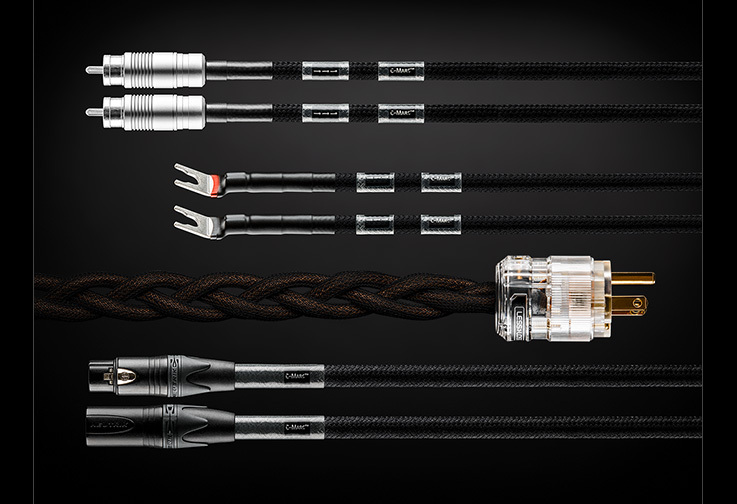 It is made according to the CEE 7/4 (German “Schuko” 16 A/250V earthed) standard. The power’s “phase,” or “Live” connection should enter the plug into the leg which has a red mark, visible inside the clear housing of the connector. This way, the Live signal comes out of the proper hole on the C13 connector according to IEC standard. 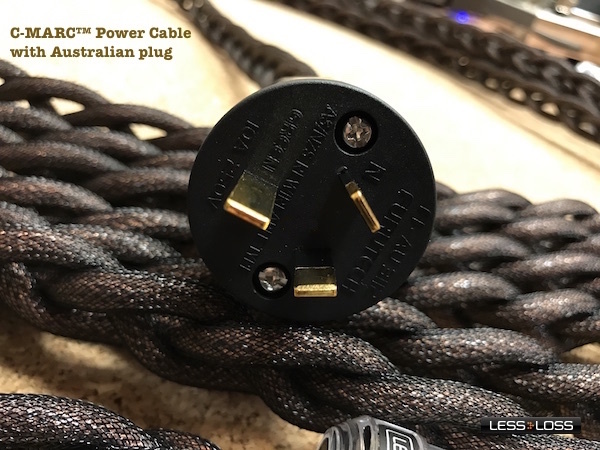 UK or Australian type plugs are available as a custom option. In this case, we use high performance Furutech products. A minimal surcharge and lead time will be applicable. 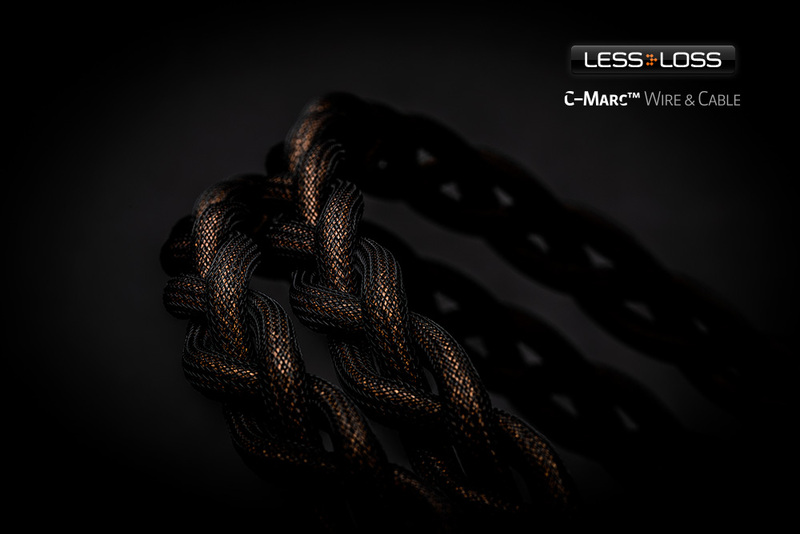 Please write to Louis Motek for more information on info@lessloss.com. This is the IeGO Dreamworks model Ti2000(G) IEC 8085CT-Gu, which features cryogenically treated 99.99% purity, gold-plated copper from Furukawa, Japan. It is made according to International Electrotechnical Commission (IEC) specification IEC 60320, and describes the C13 line socket. It is used most often. This is the Oyaide model C-279. This is used more rarely than the 15A version. 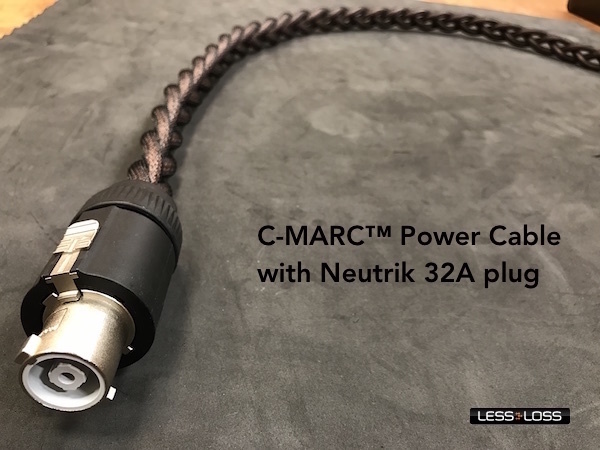 How does the new C-MARC™ Cable compare to the DFPC Reference? 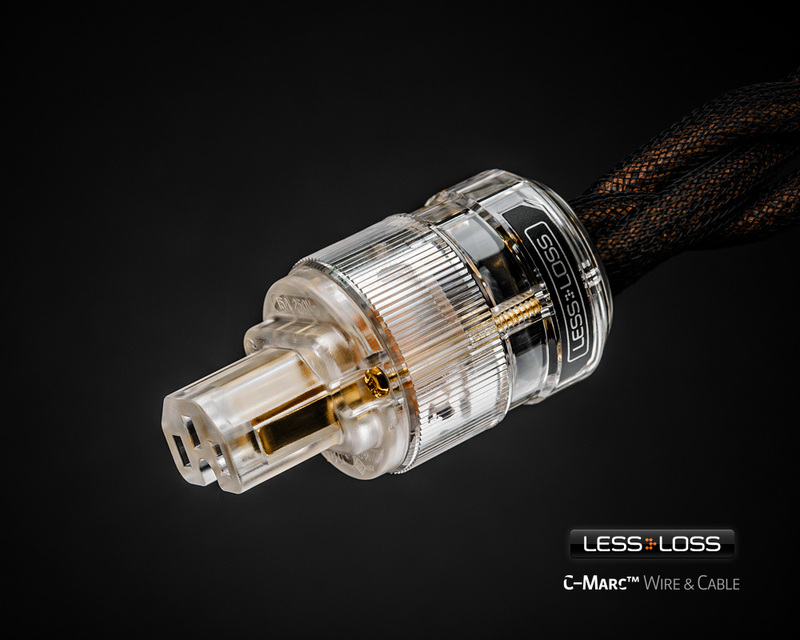 The tonal character of C-MARC™ is more liquid, fluid, and resolves more detail from any recording. As good as the DFPC Reference is, it is still made of plastic (albeit very high quality plastic with excellent characteristics). 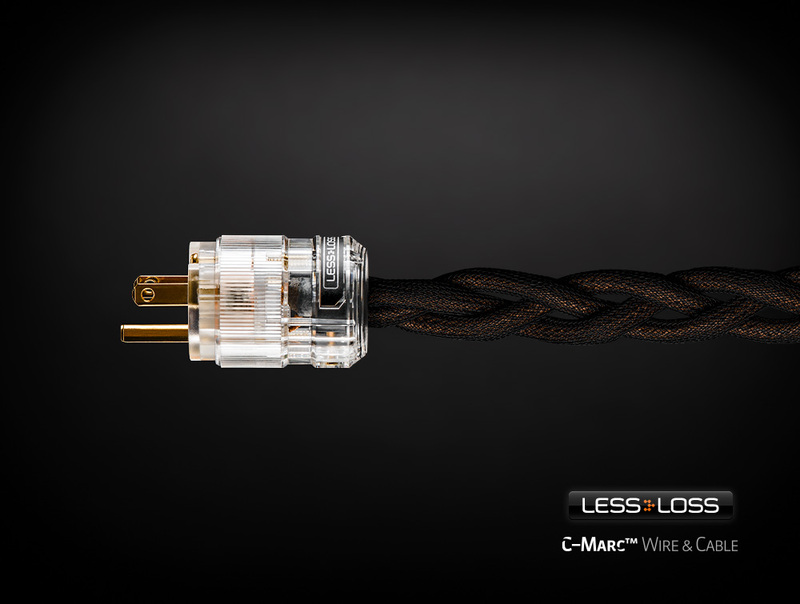 Over and beyond the improvement in the C-MARC™ power cord that it is made entirely of cotton and a very thin layer of clear lacquer instead of plastic, the extremely well balanced counter-polarized coil technique lowers the noise even further than the very effective skin-filtering employed in the DFPC Reference, so the overall result is one of both lowered noise as well as one of purer tonal character. It is very easy to recognize these improvement straight from the start, even without burn-in. 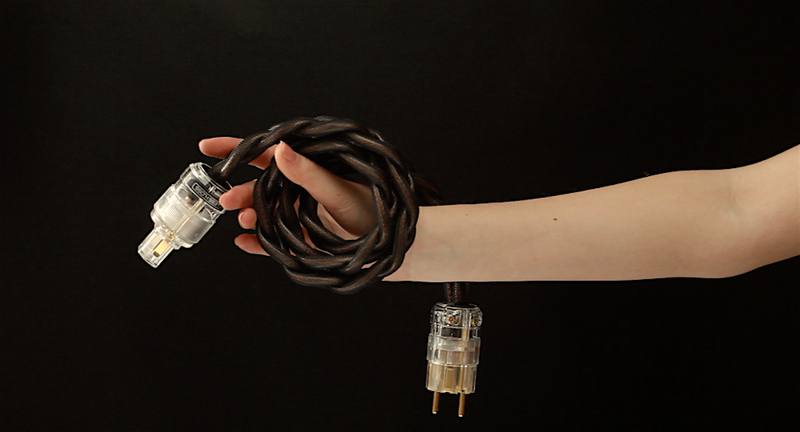 Another improvement is found in the connectors. 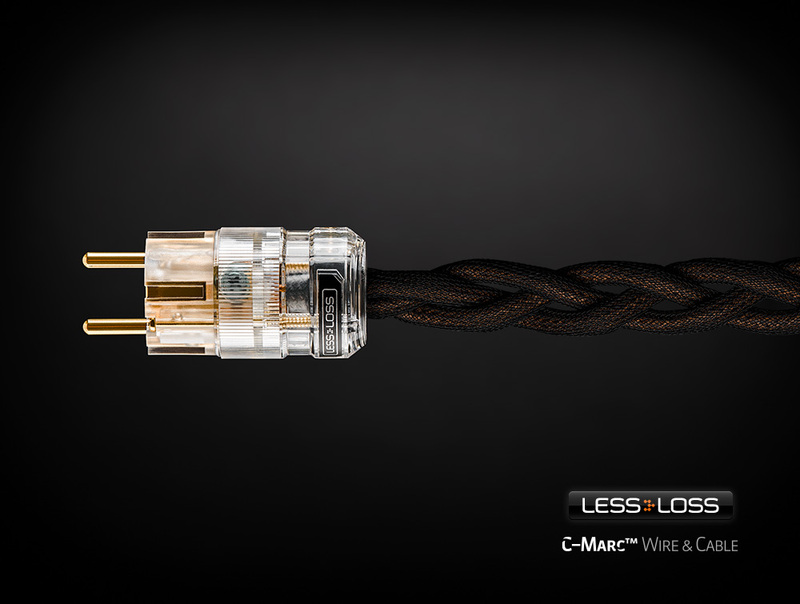 In C-MARC™ they are not made of brass, but are pure copper. And instead of glass filler in the black plastic of the housing, entirely clear and extremely stable plastic is used. And if that weren't enough, these connectors are cryogenically treated, whereas the 079's were not. All of these improvements add up to provide obviously superior results, straight from the outset. After about 14 days of settling, the sound quality becomes even more organic and life-like. C-MARC™ is here to stay for a very long time. 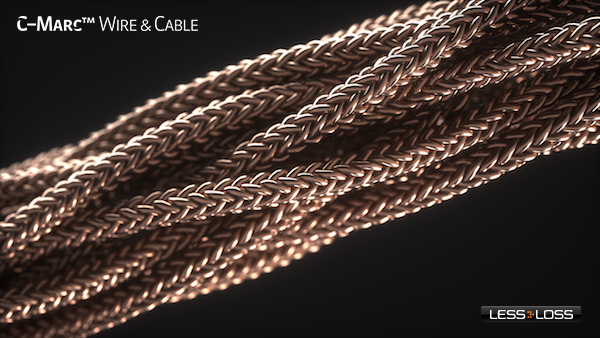 We feel confident that after a few years it will be recognized and employed in many different manufacturers' loudspeaker and equipment as internal hook-up wire. 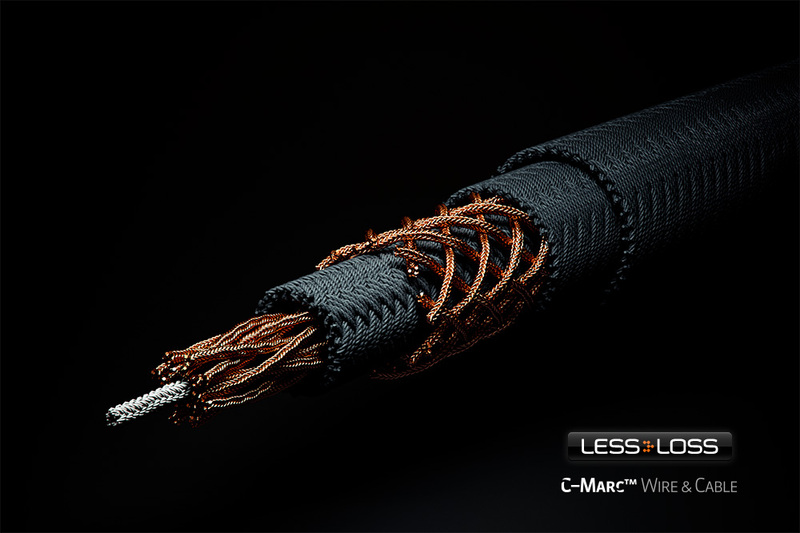 One further advantage of C-MARC™ over the DFPC Reference is its extreme flexibility and light weight. Thus, even sensitively placed lightweight gear has the very best conditions to maintain the fine vibration control of even the most delicately positioned special tuning feet. 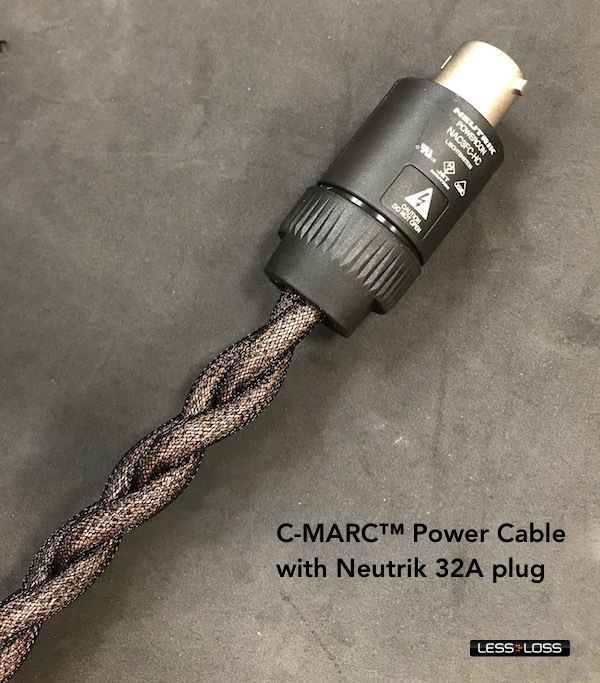 See the following image for an idea of C-MARC™ cable's flexibility. 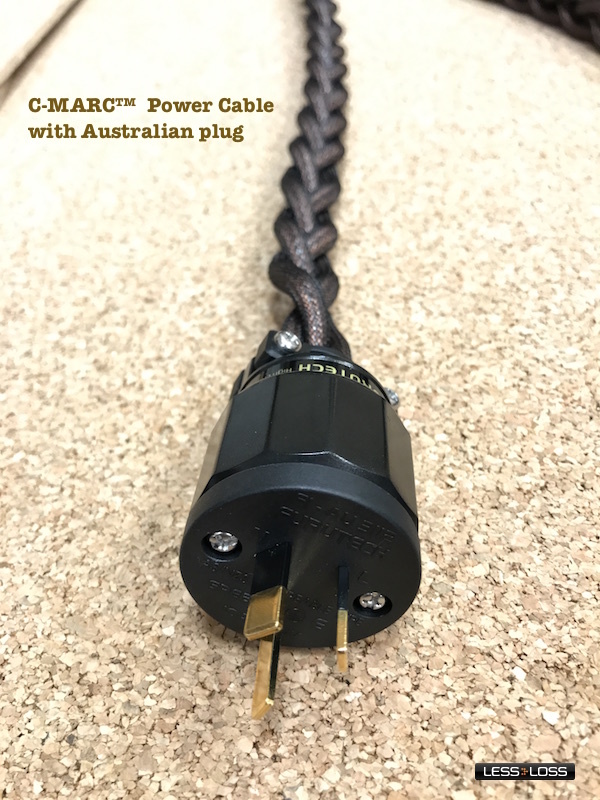 If you need a custom plug on your C-MARC™ power cord, simply inquire. 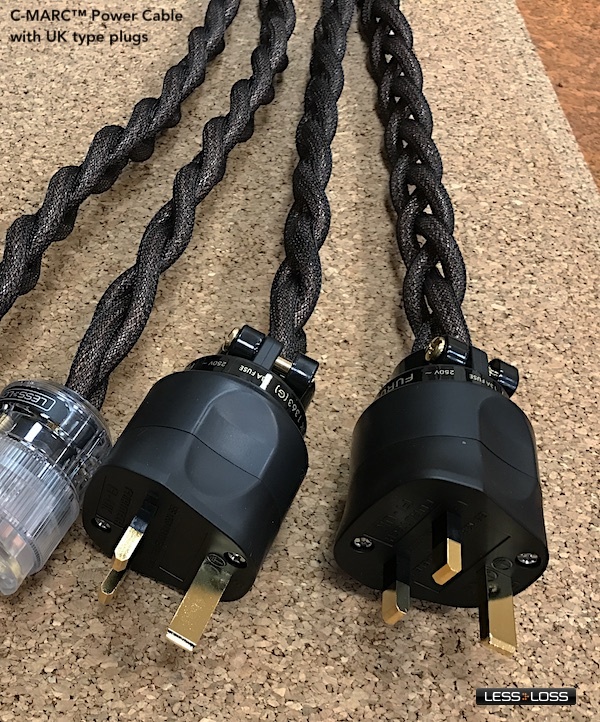 We can make them with high performance UK type plugs from Furutech, AU/NZ type plugs from Furutech, and 32A PowerCon type plugs from Neutrik. 20A C19 plugs can also be implemented.